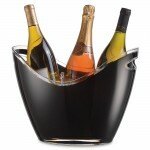 Vino Gondola Wine Cooler Black (P/N G-4-BK). Perfect for outdoor and indoor parties, this Champagne Bucket features a clear acrylic outer shell with a thick bottom and rim. Holds 3 bottles. 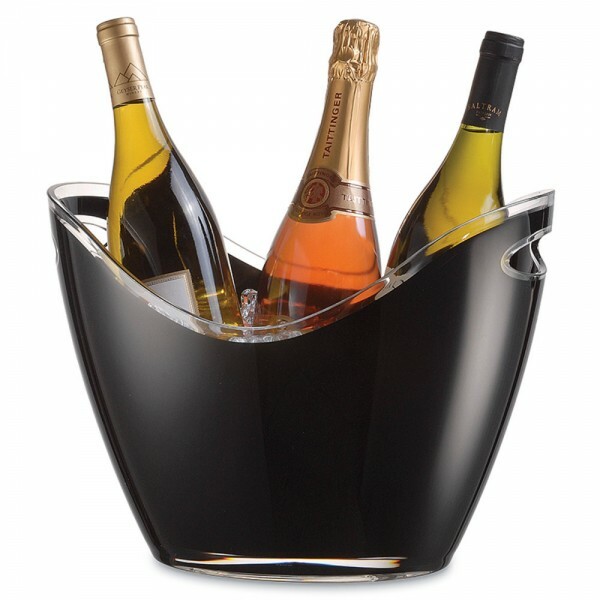 The Vino Gondola Wine Cooler is the perfect ice bucket for outdoor and indoor parties.